NOTICE: Activation key must be used on a valid Steam account. 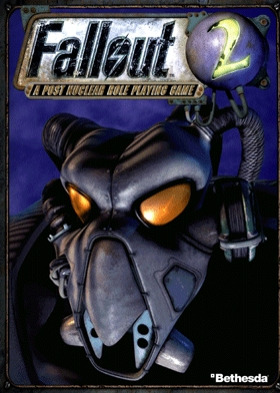 Requires internet connection.ABOUT THE GAMEFallout® 2 is the sequel tthe critically acclaimed game that took RPG'ing out of the dungeons and inta dynamic, apocalyptic retro-future.It's been 80 long years since your ancestor trod across the wastelands. As you search for the Garden of Eden Creation Kit tsave your primitive village, your … path is strewn with crippling radiation, megalomaniac mutants, and a relentless stream of lies, deceit and treachery. You begin twonder if anyone really stands tgain anything from this brave new world.Mastering your character's skills and traits for survival, Fallout® 2 will challenge you tendure in a post-nuclear world whose future withers with every passing moment...SYSTEM REQUIREMENTS Windows 98/Me/2000/XP/Vista/Seven Pentium (TM) 90 or faster 16 MB RAM 30 MB available hard drive space Direct X certified SCGA card Direct X certified sound card 100% Microsoft-compatible mouse Fallout®, Fallout® 2 and Fallout® Tactics are trademarks or registered trademarks of Bethesda Softworks LLC, a ZeniMax Media company, in the U.S, and/or other countries. All Rights Reserved.